A simple and easy family favorite is made even better with our creamy, flavorful Belaire cheese. Simply spread two pieces of your favorite bread with salted butter. In a skillet over low-medium heat, place one slice of buttered bread, butter side down, stack with Belaire cheese and the second slice of bread. Melt cheese, brown each side lightly until golden brown. Cut and serve. You’ll never make a grilled cheese again without our Belaire! Preheat your oven to 350 degrees. Place the St. Saviour in a pan on a sheet of parchment paper and drizzle with honey. Bake for five to seven minutes, or until the cheese starts to come out the sides. Serve with crackers. Perfect for a cool fall afternoon, paired with some freshly-picked apples. We’re from Wisconsin, so we can’t make fondue without mixing it with beer. A crowd-pleasing appetizer, serve at your next football party. In a saucepan, melt butter and whisk in flour. Cook over medium heat for 2 minutes. Add beer and whisk until combined. Add heavy cream and whisk until smooth. Add cheese and continue whisking until cheese is melted. Lower heat to simmer. Cook for 3 minutes. 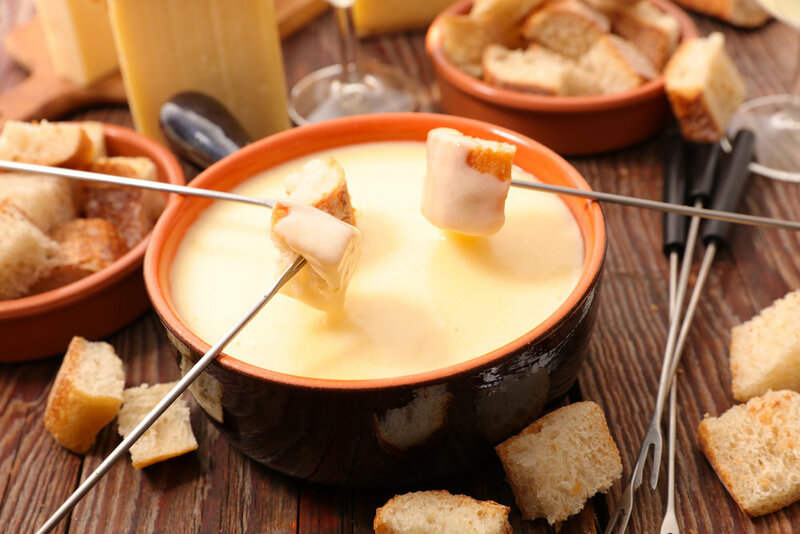 Pour into a fondue pot and serve with crusty bread. Also tastes great with fresh fruits and cooked vegetables.